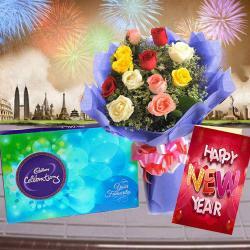 Product Consists : Bouquet of 15 Mix flowers Gerberas, Roses and Carnations with fillers in a Cellephone wrapping, Pack of Soan Papdi (Weight : 500 gms) along with New Year Greeting Card. 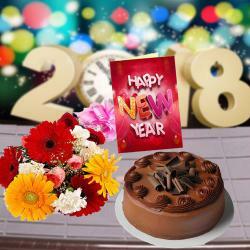 New Year is a special event and special events call for special gifts. 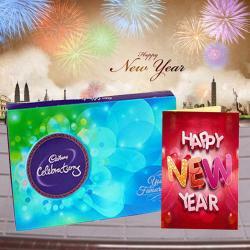 We have a superb gift that you can use to make anyone near to your heart, smile with happiness. 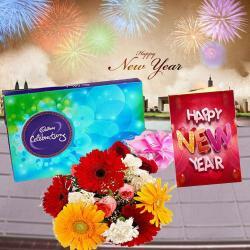 The hamper comprises of a pack of Soan Papdi along with mix flowers and New Year Greeting Card. Soan Papdi is an Indian delicacy of sweet that is meant to melt in the mouth thus, it is super delightful as a gift. 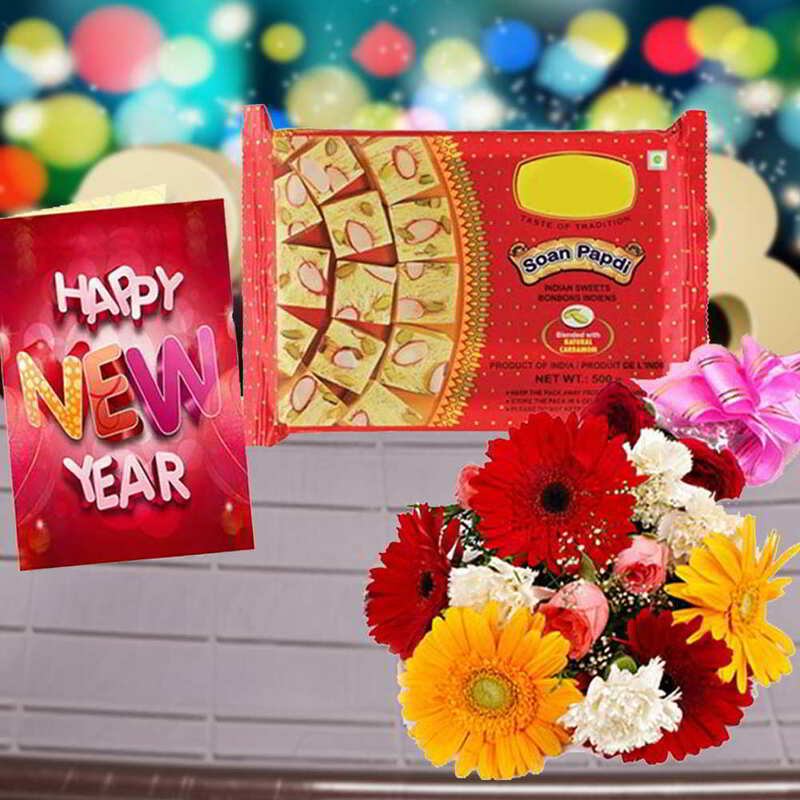 Product Consists : Bouquet of 15 Mix flowers Gerberas, Roses and Carnations with fillers in a Cellephone wrapping, Pack of Soan Papdi (Weight : 500 gms) along with New Year Greeting Card.